Date is an absolute guess! Anybody name these people and where the photo was taken? Newtonhill, Stromness??? My granny, Meta Towers is standing at the back on the right. 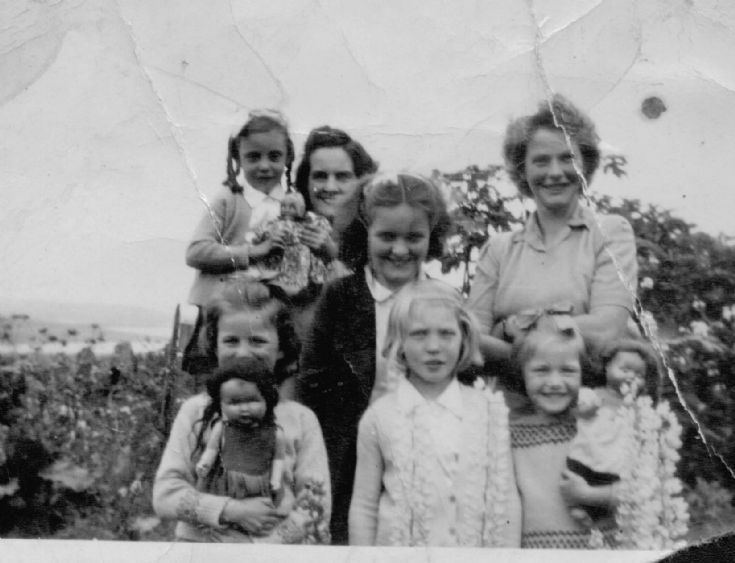 Vivienne, my granny, Chrissie Campbell (nee MacGregor) holding Eileen Stark at back. Sadie Campbell in middle, don't know any others. I've got this photo at home too. I think the two girls in the front row with the dolls could be me and my sister. Our names were Isobell and Raema Bolt.